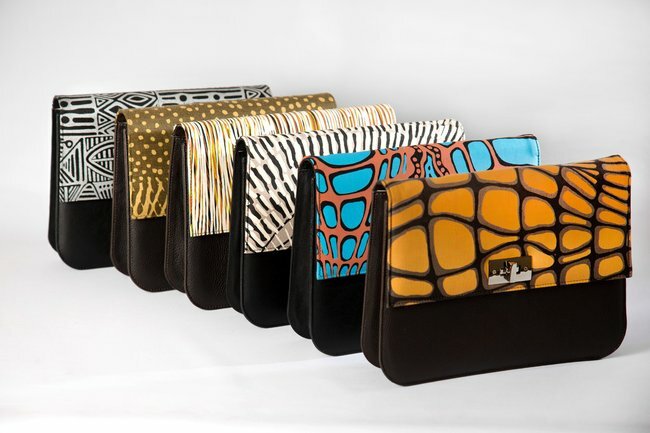 The glorious bags that feature Indigenous art and give back to the community. 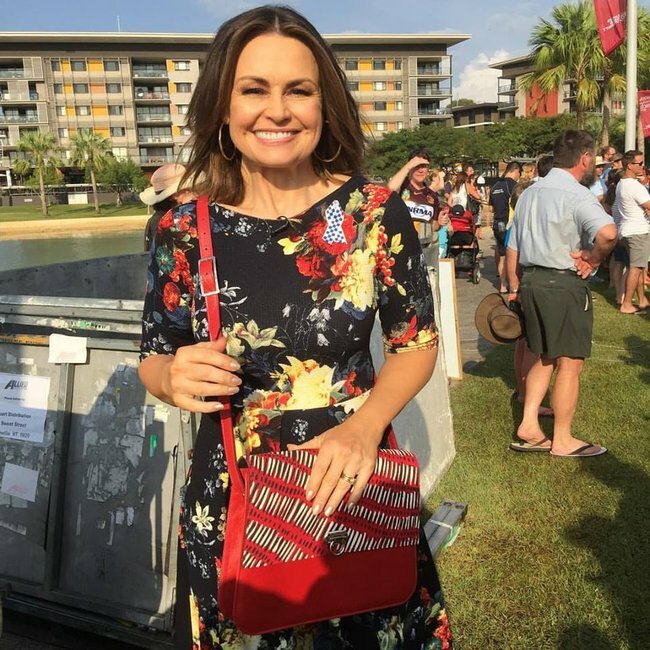 Kendra Harding is the founder of Ooroo Australia and spends much of her time working with the community art centres and the artists in the top end of northern Australia. This is where her fabrics are sourced. 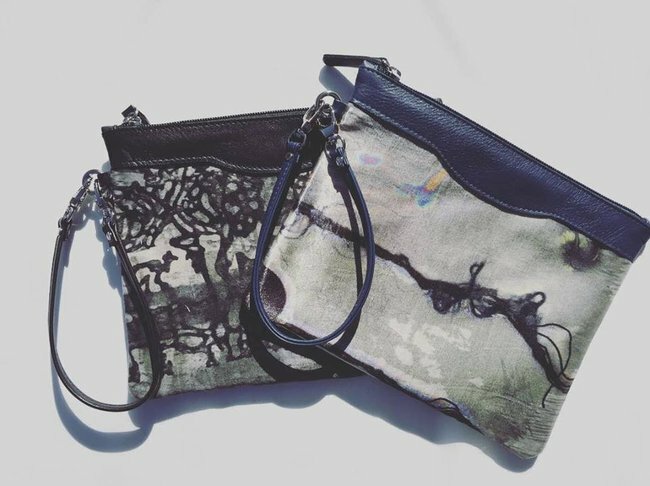 Her brand is all about supporting Indigenous artists and local art by sharing their stories through beautiful accessories to those that appreciate high-end style with a point of difference. 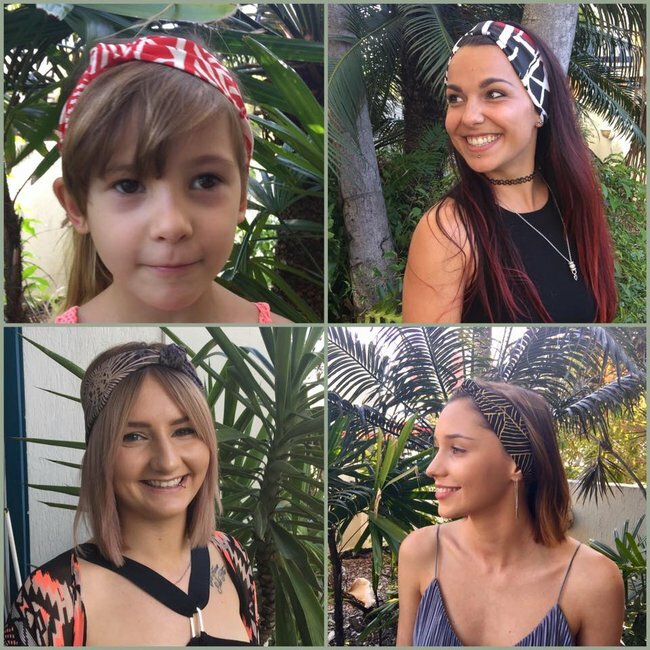 Oh, and you can get 10% off Ooroo designs for the next two months using the code ladystartupooroo. You’re welcome! 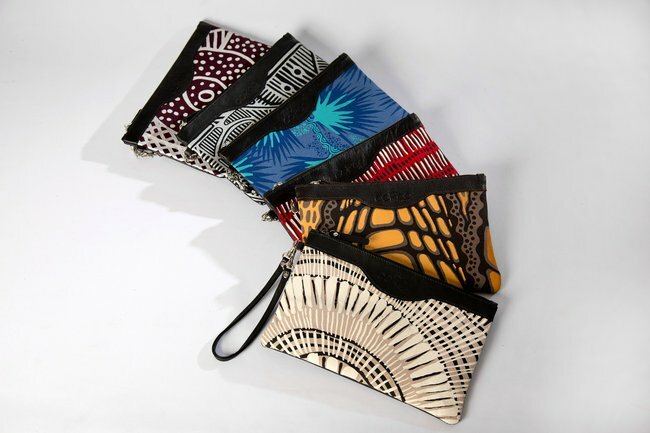 Ooroo Australia‘s handbags and accessories are made in Australia and feature hand silk-screen printed Indigenous textiles by some of northern Australia’s most prestigious and award-winning artists. Kendra Harding (right). Image via Facebook. The bespoke collection is handcrafted by a master leather craftsman who studied at the London School of Fashion Design and honed his skills working for the House of Dunhill, Burberry and other high-end companies in London. Classically styled, the unique range is inspired by art and Indigenous culture. The textiles are ethically procured from Merrepen Arts from the Daly River region, Injalak from West Arnhem Land, Tiwi Designs from Bathurst Island and Nagula Jarndu from Broome. Each handbag is accompanied by a story card approved by the artist explaining the textile artwork and the story or the dreaming represented. Starting a family, raising money for local community projects and being a hairdresser by trade. To me, it seemed turning 40 was a perfect time to leap into the ocean and lose sight of the shore. The allure of working from home so that you can spend more time with your family was appealing. So was the flexibility of setting my own hours. Buying the first edition of Collective Hub magazine inspired me to start my own business and get the ball rolling. I think most women spend their time and younger years developing a chosen career path, learning new skills and finding new interests, and then some times entrepreneurial ideas are born. My mother-in-law used the phrase a lot and it means along the lines of "nice to meet you, see you again sometime." Being an all Australian product, it suited the tourist market as well as the wider market. We sold a block of land and I invested approximately $2,000. Now, I just keep flipping that money back into the business. Lots of friends with businesses advised me to scale up slowly and know your product and your market. It is important to have really good relationships with the artists and community art centres. It is important to take your time and don&apos;t rush. Slow and steady wins the race. I have flearnt that networks and helping other people doesn&apos;t go astray. It&apos;s better to build bridges than burn them down. Karma is a wonderful thing. Taking the leap into my passion for fashion, Aboriginal textiles and putting myself out there. My husband would say he is the smartest move I have ever made but I would have to add Ooroo Australia and my children to that list. Facebook and Instagram have been essential. Living in Darwin also makes the weather app an essential during the build-up and wet season. I also have a business software that keeps track of product and sales. Often some old music comes out to brighten the mood. I am still hairdressing three days a week, which makes for a good distraction to focus on something else and spend time with some great people. I thought that if you had a great product and you have an online presence, the people and sales would instantly come. It is fine to have a web store, but the challenge is targeting your market and getting the right customers to visit it. Building and maintaining relationships with manufacturers, suppliers, stockists and customers takes so much time and energy, yet they are critical to business success. Being a Northern Territory finalist in the Australia Post pitch fest. I have also donated bags to some really important causes that make a difference to peoples lives. I am a night owl but I do require eight hours of sleep each night. When I was first developing the Ooroo Australia brand I slept with a pen and note pad beside the bed because I seem to wake up with bright ideas after sleeping on them. Kendra Harding (right) with Mia Freedman (centre). Image via Facebook. Surround yourself with positive people. Listen and learn and be prepared for your initial start up idea to change course, grow and develop. Be resourceful and very flexible. My boss at the salon is a great business woman and I have learnt a lot from how she operates. Jenny Hill is also way in over her head and has my back with admin, marketing and product development. Anika Walker from Your Style Revolution. It is an online personal styling service. Fiona Park from Emmaretta. It is an up and coming plus size hosiery company.